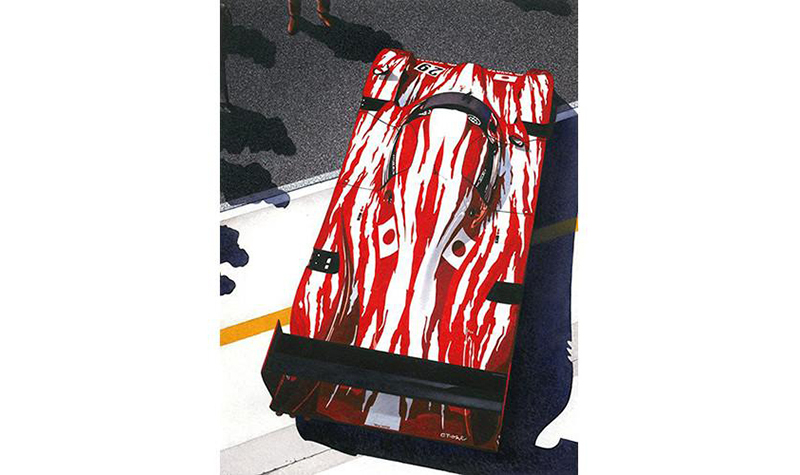 The late Simon Owen painted race cars using watercolors, for the most part. 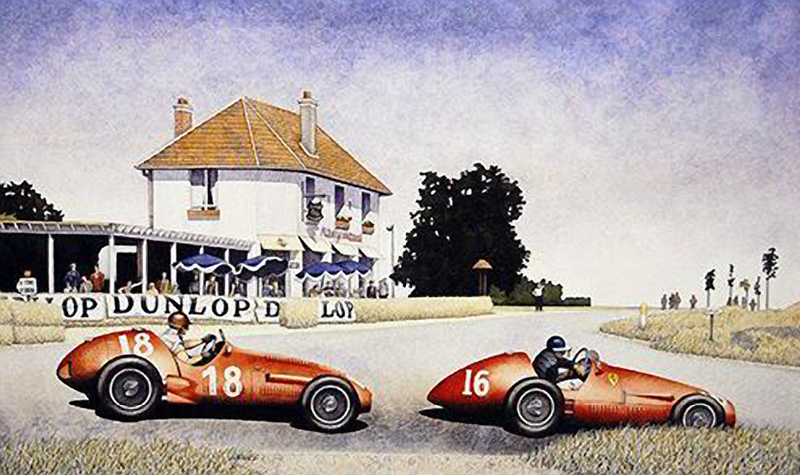 The soft feeling of watercolor and the wonderfully detailed images capture and define a fleeting moment in racing time. 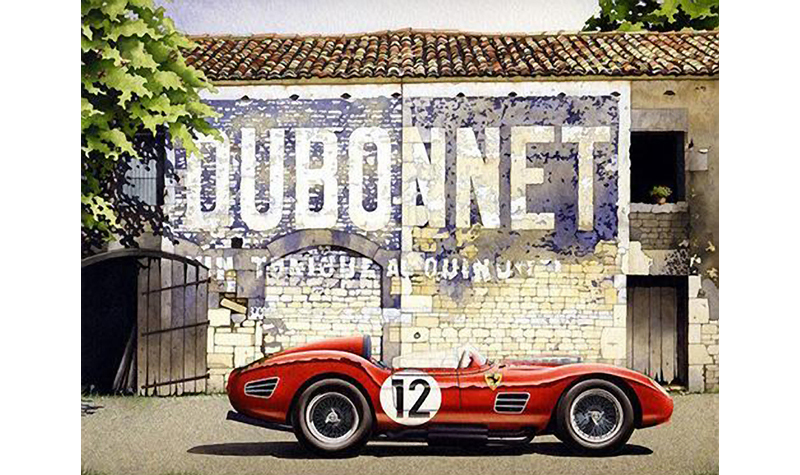 Classic race cars and great drivers on classic tracks. 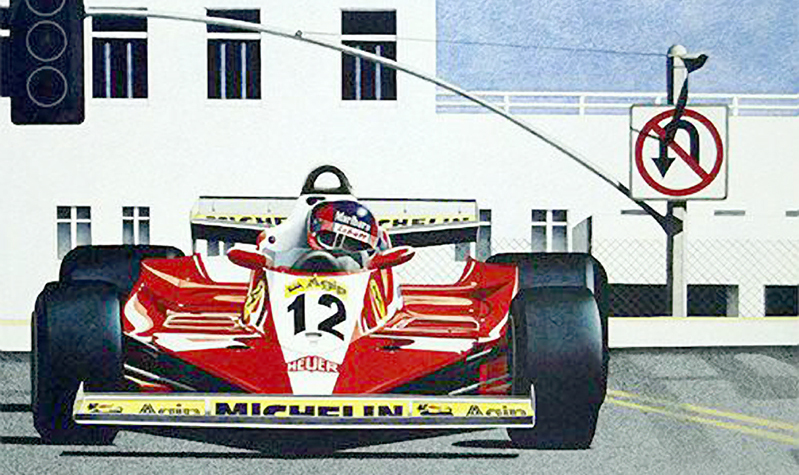 Gilles Villeneuve at Long Beach and Ayrton Senna at Monaco. The Gulf Ford GT40 (above) at the LeMans 24 Hour race in 1968. 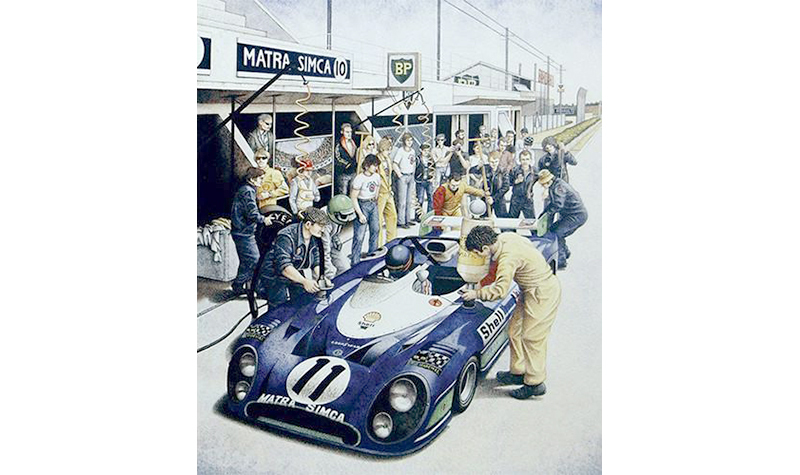 A French Matra receives attention from the crew in the old pits at LeMans, spectators right on top of the action. Two of my favorite Simon Owen works compliment each other nicely with their overall colorations. 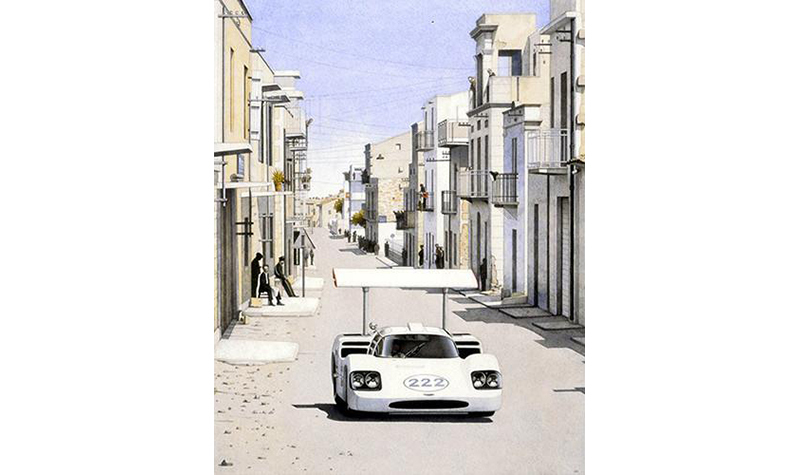 Jim Hall’s Chaparral 2F charges down the narrow Italian town streets of the Targa Florio. The Chevy V8 thunders off the buildings while spectators casually watch the action just feet away from the speeding race cars. 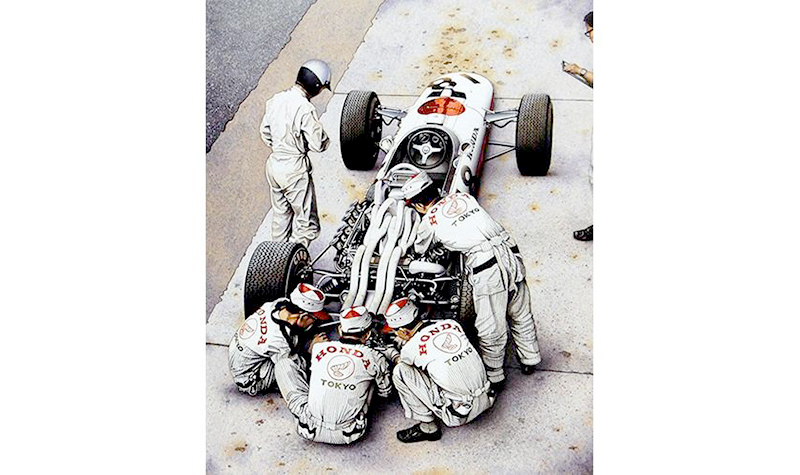 On the right a team of Honda mechanics work on the gearbox while another technician tunes the screaming V12 engine. The long white exhaust pipes almost obscure the engine as they sensuously flow to the rear. Meanwhile the driver is in his own world as he readies himself for ultra-fast laps of Monza for the Italian GP. All of his prints are on the small side. Which makes them easy to add to your walls. 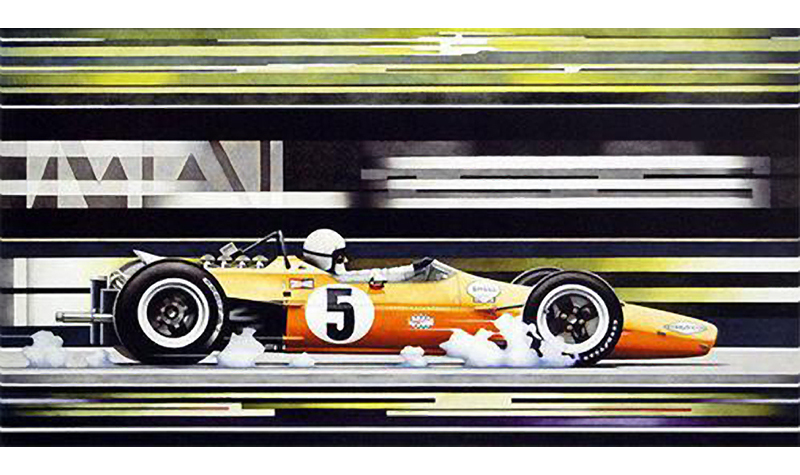 An added bonus right now is that a large selection of Simon Owen prints are on sale at long-time art publishers Alex Reade Motorsport. Virtually all of these prints are going for around 50% off. 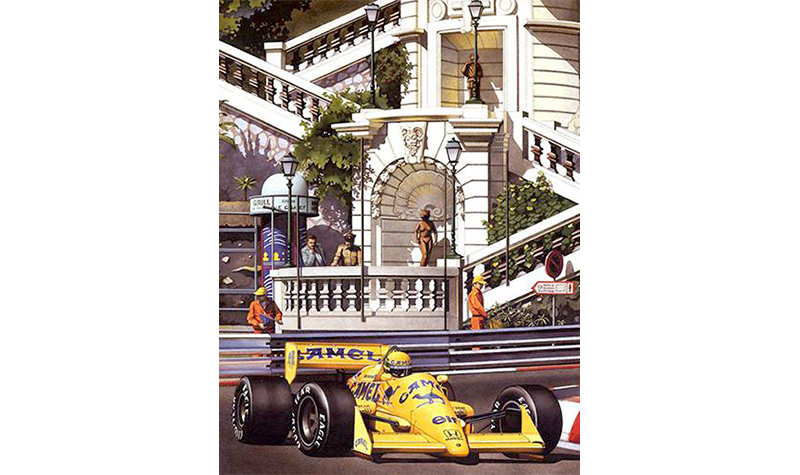 It’s a great chance to add unique watercolor race car art that’s highly detailed. In a classic way. Simon Owen loved the classics. 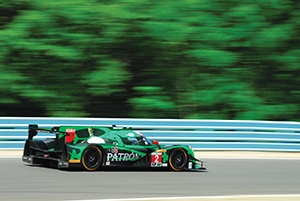 You can see the whole collection and order prints from Alex Reade Motorsport.